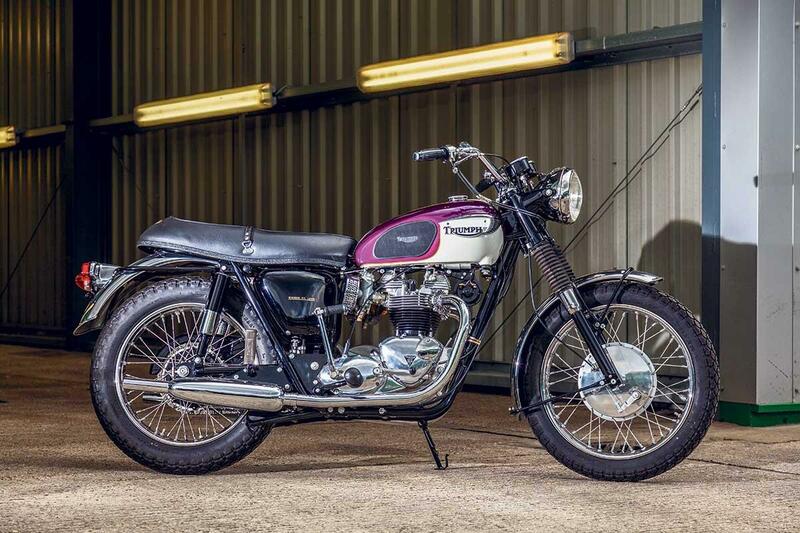 The Bonhams auction at the Devitt MCN Ally Pally Show and Supersprint was a great success, with 97% of the bikes on offer being sold for a grand total of over £1.2m. 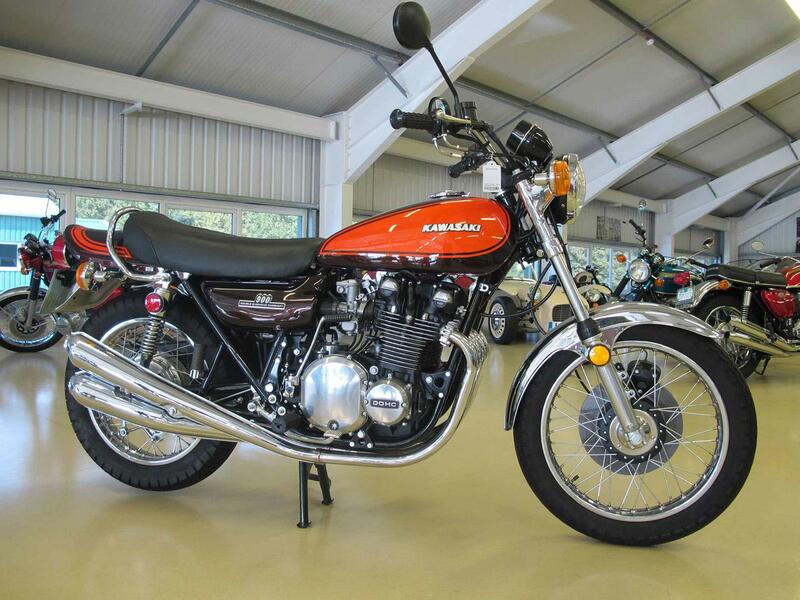 Two Kawasaki Z1s went for a combined total of over £50k, a 1977 Yamaha ‘Fizzy’ FS1-E fetched over £7k and 1969 Honda CB750 was sold for £27,600. Lots of the bikes being sold were made by MV Agusta, and these attracted a lot of bidding. 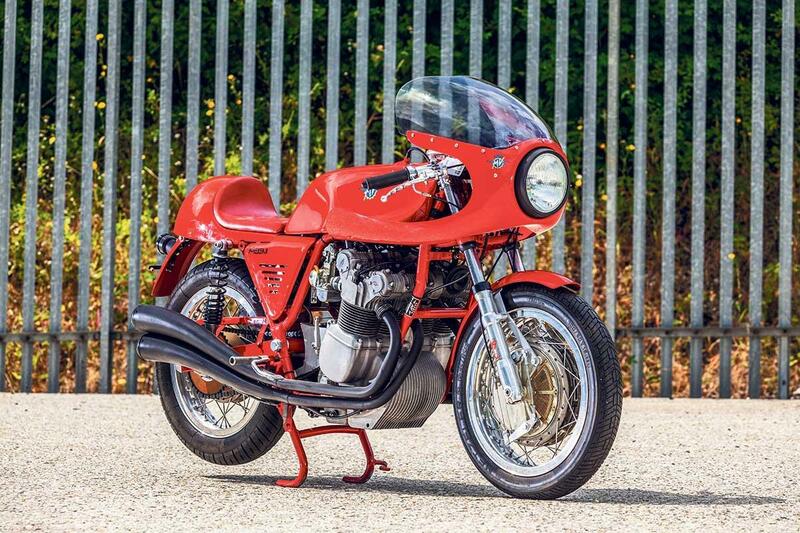 A 1978 MV Agusta 861 Magni made £59,800, a 1971 750S fetched £67,850 and a 750S America managed a whopping £74,750. British manufacturers were also well represented in the sale, with BSA, Vincent, Triumph and Norton bikes up for grabs. 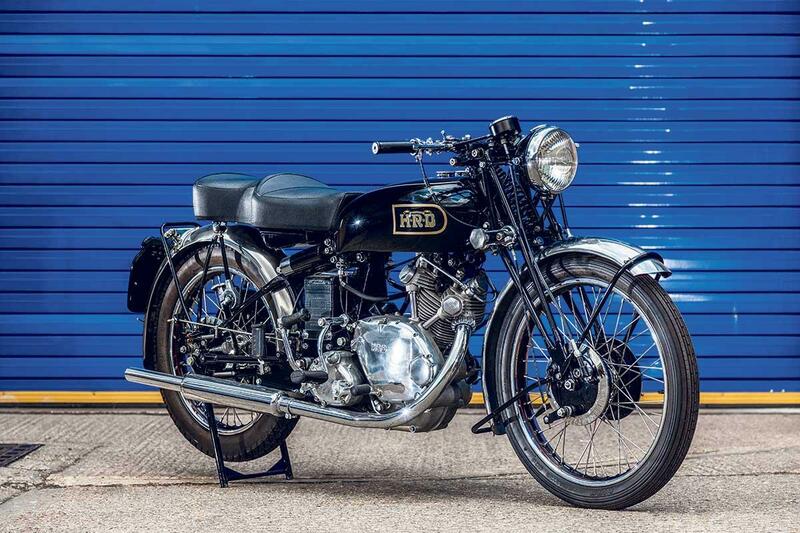 A 1961 Beart-Norton Manx 350 raced by James Guthrie at the Isle of Man sold for £51,750. There were some bargains to be had at the auction, too. An unused Kawasaki H2R was sold for £30,475, which is still a lot of money but more than £10k less than it cost when it was new. Don't worry if you missed out on the auction, you can still find a set of wheels at MCN Bikes for Sale. 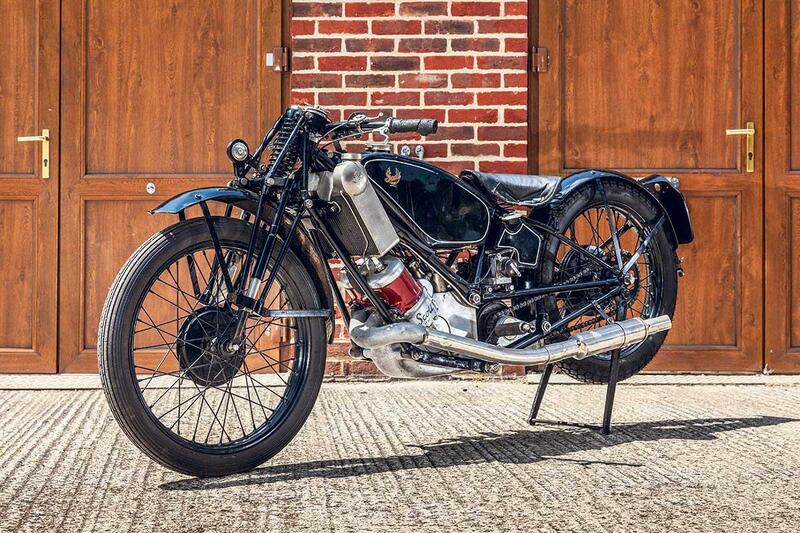 One of the best-looking racing motorcycles of the pre-war era, the MkVIII Velocette KTT is also one of the rarest. Just 49 of the 349cc sohc racers were built making this example a very desirable machine. Velocette racer Harold Lamacraft finished 19th in the 1939 Junior TT on this Velo at an average speed of 75.99mph. This Bonnie is the work of Keith Martin of Big D Cycles in Dallas. Restored using as many of the original parts as possible (with the exception of the exhaust, tyres, seat cover and bars) this has to be one of the best Bonnevilles to come up for sale recently. It has only covered around 100 miles since the work was completed in 2014. Before the CR125, 125cc crossers were either fast, reliable or good handling; but never all three. 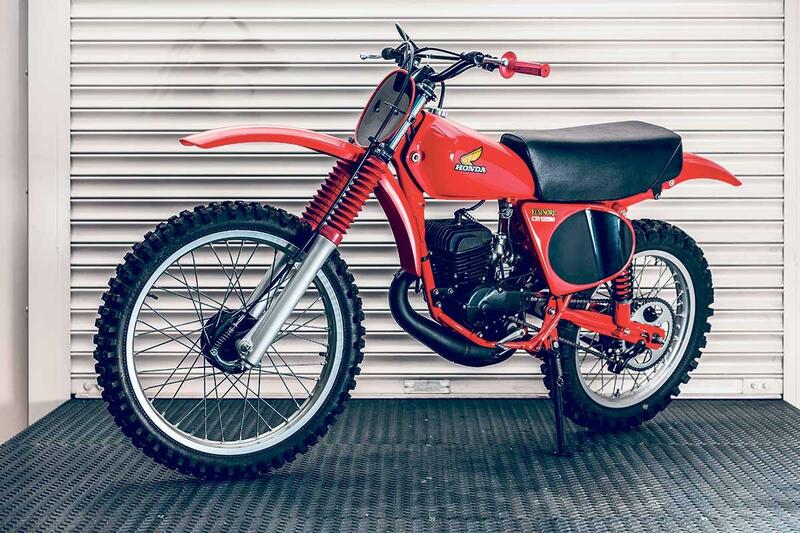 The CR125M Elsinore was, and buyers, particularly in America, queued up to get their hands on one. This bike is superbly restored and in correct conditions. One of the rarer HRD singles. The 499cc Meteor is distinguished from the sportier Comet by its Brampton forks (rather than the Girdraulic units) and smaller carb. The rarity of the Meteor (it was phased out in 1950) makes it highly prized by collectors. This German registered 861cc machine boasts all the exclusive features of a Magni- modified MV. There’s a Magni frame, chain drive conversion, 861cc big bore kit for the MV Agusta four-cylinder engine plus Ceriani forks and Fontana twin leading shoe brakes. One of only three, three-speed Scott works machines to be raced in the 1926 TT and the only one to finish the race (in 18th place after gearbox problems). The 498cc Scott recorded 92.2mph on the Sulby straight and 107mph on the drop into Hillberry. One of the rarest and most interesting machines in the sale, this early model is one of only around 1000 CB750s fitted with gravity cast crankcases (sometimes incorrectly referred to as sandcast). These machines were mostly hand-built in California, as Honda wanted to test the market for the first superbike. 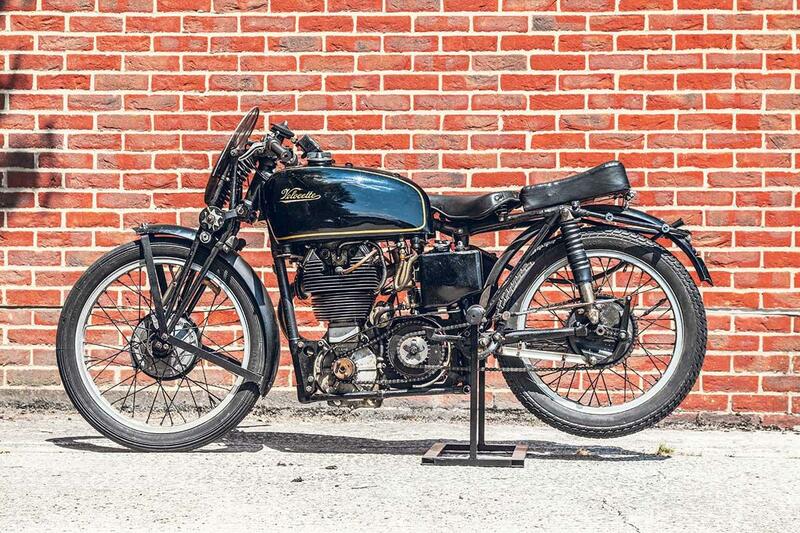 Meticulously restored and showing 11,299 recorded miles, the bike sold for £27,600. Two Kawasaki Z1s in the auction that rolled off the production line one behind the other in 1972, fetched a combined total of over £50k. 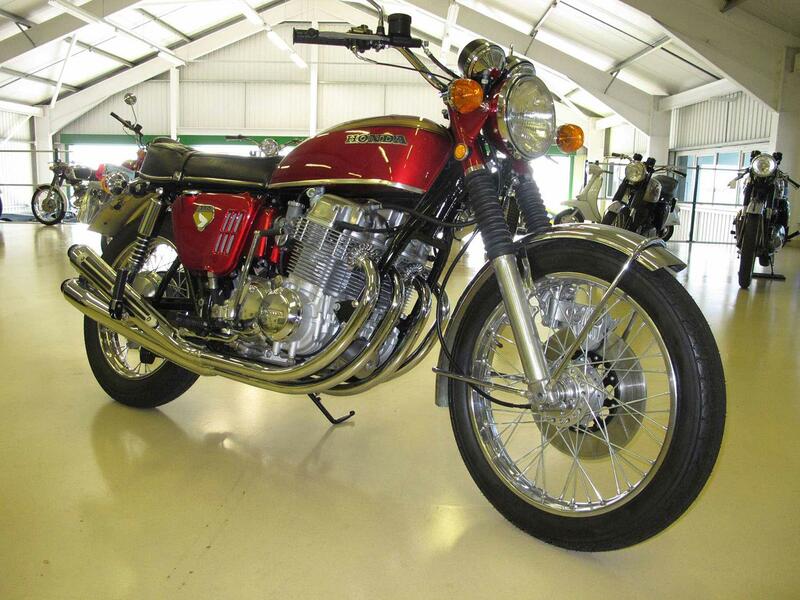 A lightly restored Yamaha RD400 with matching frame and engine numbers was sold for over £7k.